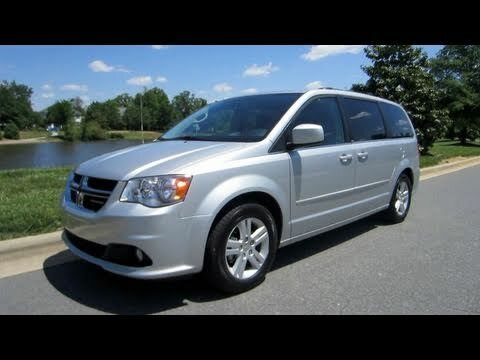 If you're looking for a full-size family hauler that's as clever about maximizing space as it is pampering your kids, the 2011 Dodge Grand Caravan leads the pack. There is plenty of room for a family and it is very reliable. My van is roomy with seating for 7. It has a DVD player with a remote. backup camera is amazing. The seats all fold down, making it easy to haul large items. The brakes wear out very quickly on this vehicle. We have to change them about every 6 months, and I only drive around my town. So not a lot of highway miles/ right now we are having a transmission problem that apparently came from the eco mode feature. I was told not to run the van in eco mode all the time, because it can cause transmission problems. It has had a few recalls, but nothing major. Overall I would say it is a good vehicle, and I would recommend it to other consumers. Grand Caravan-good- and could be better. The van was bought used and has been very reliable. It is comfortable, and haven't had many issues with it. I had a caravan before and for some reason they do not like the cold, this one will act a little funny when its cold out, but nothing major. I like the way it rides, and even in the basic model it meets all the needs. Sadly another thing that I have noticed with Dodge vans is there seems to be some wiring issues my old one was horrible and this one has already started in with deciding when the radio wants to work or not. Love the stow n go seats and very comfy and the trunk is awesome. 2011 Dodge grand caravan crew edition. This is the perfect vehicle for my family of 5. It is very spacious and the cargo room beneath the seats is definitely a plus. I absolutely love the fact that there are doors on both sides and they are automatic! My children can easier get themselves in and out of this van. The back trunk area is extremely spacious even with all the seats up. I also love the fact that we can put all of the seats in the back down in the stow and go storage area and have a huge back area like a truck to transport furniture or appliances. Chrysler (FCA US LLC) is recalling certain 2011-2012 Dodge Grand Caravan vehicles. In the affected vehicles, the driver's frontal air bag may unexpectedly deploy if the air bag wiring harness gets chafed within the steering wheel and short circuits. Chrysler will notify owners, and dealers will inspect the air bag wiring within the steering wheel, replacing it if necessary. A protective cover will also be installed. These repairs will be made free of charge. The recall is expected to begin July 28, 2017. Owners may contact Chrysler customer service at 1-800-853-1403. Chrysler's number for this recall is T33.